People come from all walks of life. Some live very differently than others. In a time when the world was younger, Nikola Tesla grew up educated with great ideas to create and better the world. Meanwhile, a simple gypsy girl named Julia grew up with a family on the move, peddling wares in the city but never getting to close to the outsiders, as that is how her people lived. With a passing glance, the two will forever change. Faced with obstacles and the struggle to overcome differences in all aspects of life, the two fight to find their place in the world, and where that might lead them. 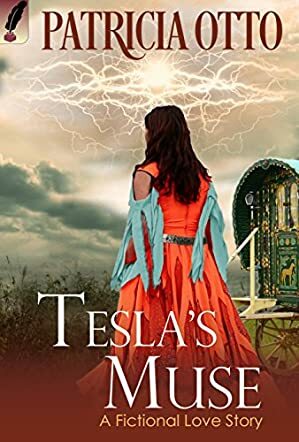 In Tesla’s Muse, Patricia Otto spins a glorious tale of love and woe, of loyalty and freedom and life’s "what ifs." Tesla’s Muse is a wonderful story that brought both ups and downs to my emotions. I loved it! It was awesomely spun to reveal an alluring tale with well developed characters and plot lines. While it is a work of fiction, the level of dedication and effort put into the story makes you ask the question, "What if?" What if it did actually happen? It also can make you question what butterfly effects your choices may have on the world. I think it is wonderful that Patricia Otto was able to provoke that type of reaction from her readers in a simple, fictional story like Tesla’s Muse. So to that I say, well done. I look forward to more books from Patricia Otto.